2019 is shaping up to be a big year for the omnichannel retailer. According to the National Retail Federation, retailers saw a 40 percent increase in multichannel shopping in the 2018 holiday season, with social and mobile technologies reigning supreme in the customer shopping experience. 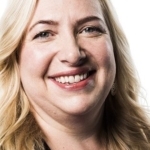 It’s no surprise then, that omnichannel was top-of-mind for attendees at the National Federation Big Show (NRF 2019), as noted in a show recap by our own Shelley Bransten, CVP of Retail and CPG. As retailers find ways to cater to shoppers both online and in physical stores, the following cross-channel strategies may be key to getting ahead of the pack. According to NRF, approximately 87.5 percent of shoppers between the ages of 18-34 used a mobile device to make holiday purchase decisions over the 2018 Thanksgiving weekend. Nearly a third used social media to look for sales and promotions, mostly using a mobile device. And mobile sales skyrocketed, according to Adobe Analytics—an impressive 56 percent year-over-year growth over the 2017 holiday season, with a nearly 10 percent increase in downloads of retailers’ mobile apps. As younger, mobile-native shoppers influence buying behavior, retailers need frictionless brand experiences across online, physical, and mobile storefronts. Your retail management platform needs to seamlessly manage cross-channel inventory and sales in one place, as well as track cross-channel customer activity to deliver a deeper understanding of customer behaviors and preferences, which in turn drives wiser merchandising decisions. Omnichannel, personalization, and price consideration go hand in hand. 41 percent of consumers expect in-store employees to know their online purchase histories and 77 percent of consumers expect personalized experiences, according to NRF. That trend is precipitated by the value-conscious generation of shoppers who choose price and personalized experiences over brand affinity. Intelligence is the foundation for the exceptional, personalized brand experiences consumers expect today. Invest in deep, AI-driven analytics that provide real-time insights into macro customer behaviors to fine-tune merchandising, price points, and targeted marketing programs while delivering personalized storefront recommendations and rewards. Shoppers don’t like waiting in line, which is clear by the sharp increase in BOPIS (buy online, pick up in store) and BOSS (buy online, ship to store) programs from leading brand retailers, as well as a growing number of smaller retailers looking for ways to drive foot traffic and sales in physical locations. Now BOPIS is going mainstream, boosted by holiday media coverage (including a story on Good Morning America featuring my friend Erin who lives here in Seattle). Expect smaller retailers to get into the game in 2019, as brands look for ways to drive foot traffic and sales in physical locations. Research indicates that 37 percent of shoppers who come to the store to pick up items ordered online will purchase additional products—an indicator that BOPIS is emerging as an essential element of your omnichannel strategy. A key component to BOPIS capabilities is the ability to provide accurate, reliable, real-time inventory across physical and online channels, integrated with customer profile information. In 2019, retailers will need to focus on automation technologies and intelligent supply chains to enable seamless synchronization between supply, demand, and fulfillment. We just announced new enhancements to Dynamics 365 for Retail that will greatly enhance personalized customer engagement, omnichannel experiences, and frictionless interactions with consumers, including distributed order management (DOM) updates to provide a single, holistic view of all inventory to optimize order fulfillment, allocation, and distribution. 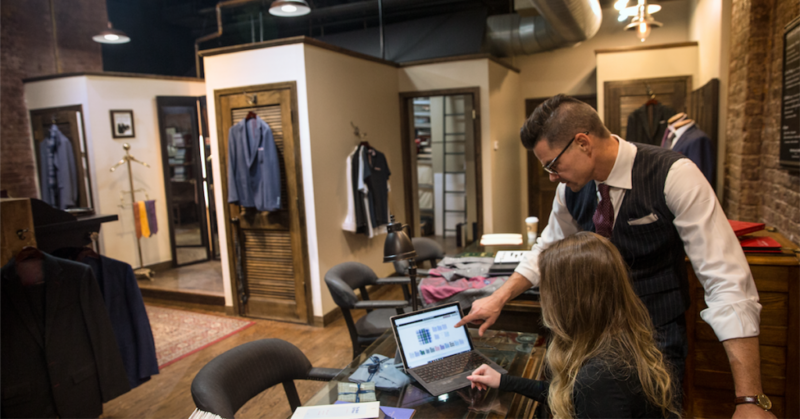 Learn more about intelligent retailing capabilities in Microsoft 365 for Retail, and be sure to view our latest research—the 2019 Retail Trends Report—for more insights into six emerging trends that will help empower retailers to create exceptional, insightful shopping experiences for customers.